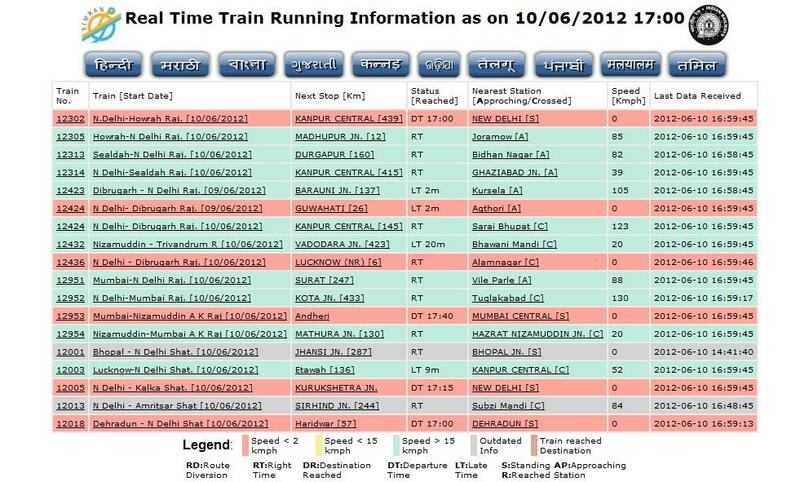 Do you know now we can track the train train running status via Satellite too. It was one of the greatest invention by the IIT Kanpur and Indian Railways. By the help of Real Train Information System (RTIS) to public for accurate train tracking thus heralding a new era of application of advanced communication and information technologies in various Railway related activities. The new system is based on Satellite Imaging for Rail Navigation (SIMRAN). Train location with respect to next stopping station in terms of kilometers. For getting the result via SMS please type the Train Number to Mobile number 09415139139. This train service now available on following Six pairs of trains only. But railways upgrading the system and planning to release the same by December 2012 itself. Can i get live positioning of train no. 12372?